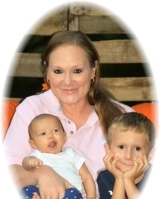 Tammy Michelle Robinson Foster, age 49 of Woodbury, Georgia passed away Thursday, September 13, 2018 at Warm Springs Medical Center. Tammy was born in Griffin, Georgia on February 28, 1969. She is preceded in death by her father, Carson L. Statham; daughter, Cierra Foster; sister, Tracy Robinson and grandmother, Nellie Boyd. Tammy was a Licensed Practical Nurse who loved caring for people. Tammy enjoyed spending time with family and adored her grandchildren. She also had a special love for all animals. Survivors include her mother, Linda Sue Statham; daughter, Jordan Foster; son, Nick Foster; grandchildren, Brendan Foster, Ziyah Tinsley; sister, Brandi Statham; husband, Todd Foster; aunt, Brenda Royals; sister-in-law, Sarah Graham; son-in-law, Jordon Tinsley and ex-daughter-in-law, Jessica Stephens. A celebration of life for Tammy Michelle Robinson Foster will be Sunday, September 16, 2018 at 2:00 pm at Conner-Westbury Funeral Home. Minister Brian Simon will officiate. Please join the family and friends in honoring Tammy Michelle Robinson Foster by visiting www.conner-westburyfuneralhome.com and posting your tributes and memories.